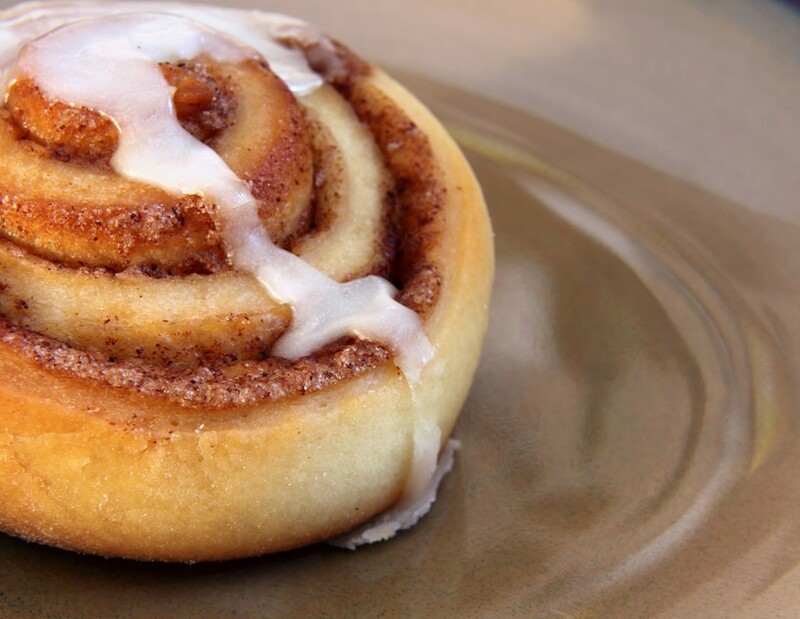 Mike's Famous Buttermilk Cinnamon Rolls - Vegans Eat What? Vegans Eat What? This recipe is proof positive that you do not need animal products (dairy or eggs) to make amazing bakery items. In a large bowl, dissolve yeast in warm water. Let stand until creamy, about 10 min. Heat the nondairy buttermilk till warm to the touch. Add the 2 T of melted nondairy butter and oil to this mixture. Pour the nondairy buttermilk mixture into the yeast mixture; mix well. Stir the flour mixture into the liquid 1 cup at a time, until a soft dough forms. Turn dough out onto a lightly floured surface and knead 20 times (do not over knead the dough). In a small saucepan melt the ½ cup of nondairy butter. After melted remove from the heat and add the brown sugar, cinnamon, and vanilla bean paste. On a lightly floured surface, roll dough out into a large rectangle. Spread the brown sugar mixture over the dough, roll up into a log and pinch the seam to seal. Slice into 1 inch pieces and place cut side up in a lightly greased 10X15 baking pan. Cover and let rise 30 minutes or cover and refrigerate overnight (note you can also divide up the rolls into smaller pans and freeze. When you are ready to use these frozen rolls pull out the night before and let sit on the counter overnight to thaw and rise). If baking immediately, preheat oven to 400 degrees F.
Bake in preheated oven for 20 to 25 minutes, until golden brown. Let stand for 2 to 3 minutes before frosting. Combine the nondairy cream cheese and softened nondairy butter and stir until well blended. Variations: Sprinkle raisins or chopped nuts over rolled out dough.